Rise Casino is a new online casino with a modest library of games, including slots and some table games. However, don’t be deceived by the lower numbers compared to other websites. Rise Casino may not offer you thousands of titles but you can find some of the best games from the top developers today. After all, quality trumps quantity any time, particularly when it comes to your gameplay. Rise Casino has a lot to offer, whether you are a new player or a loyal one. You can get free spins that do not require you to make deposits and you have the chance to join the casino’s rewards club. Plus, if you stick around, you may be qualified to be a part of its many promotions. As you arrive at the website’s landing page, you will quickly notice how smooth the interface is. It is also quite straightforward with a modern look that will please your eyes. Whether you open the site on your laptop or your smartphone, you will not have problems with it because it is compatible no matter the device. Even if you play on a small screen, the games will not lose their quality. If you are worried about player safety in this online casino, the site assures its players that it meets the gambling principles set by authorities and third-party organisations. Casino Rise is a part of the 888 casino family and Cassava Enterprises owns this brand. The company operates internationally and is licenced by the UK Gambling Commission and the Government of Gibraltar. With the details about Rise Casino above, you may be enticed to register an account to become a member. 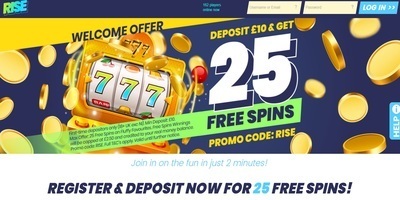 Once you have signed up on the site, you will be glad to know that you will be awarded free spins, which are what its bonus policy is typically about. The spins you get will be based on the first deposit you make. Another good thing about these spins, aside from being complimentary, is that they are wager-free. 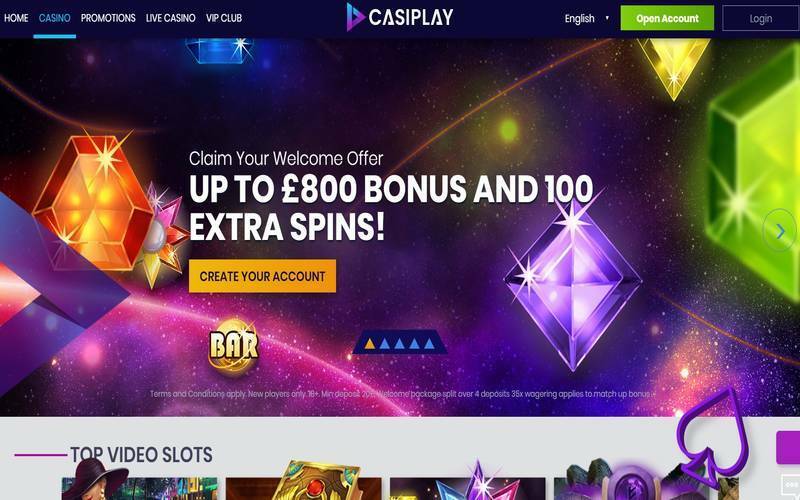 If ever you win using these free spins, you can convert your prize into cash so you can withdraw them along with your other winnings. Picking a game should not be difficult if you have a lot of choices. At Rise Casino, the more you play, the better your rewards become since you have the chance to be a part of the rewards club. This online casino offers numerous games with over 300 selections available from different software providers, such as NetEnt, Thunderkick, Eyecon, and IGT. You can select from the high-quality slot games available, along with table games that you will see at your traditional casino establishment. Most of the games have stunning graphics and prizes that you will find worthy of your time. You have the chance to win generous cash bonuses in games, such as Esqueleto Explosivo and Bloodsuckers. Every few weeks, the casino releases new titles that you can add to your favourites. You can also try classic games, including roulette and blackjack, which present high-stakes action. Rise Casino is for you if you have been searching for a slot-focused online casino with a few variations of traditional casino games. The site also has a support team that is on standby, ready to assist you in case you have certain issues with the website or its games.